You can now build the Snow Park and begin the Figure Skating Hobby you also unlock the weather machine, keep reading for how to use it! Is the prize worth it? 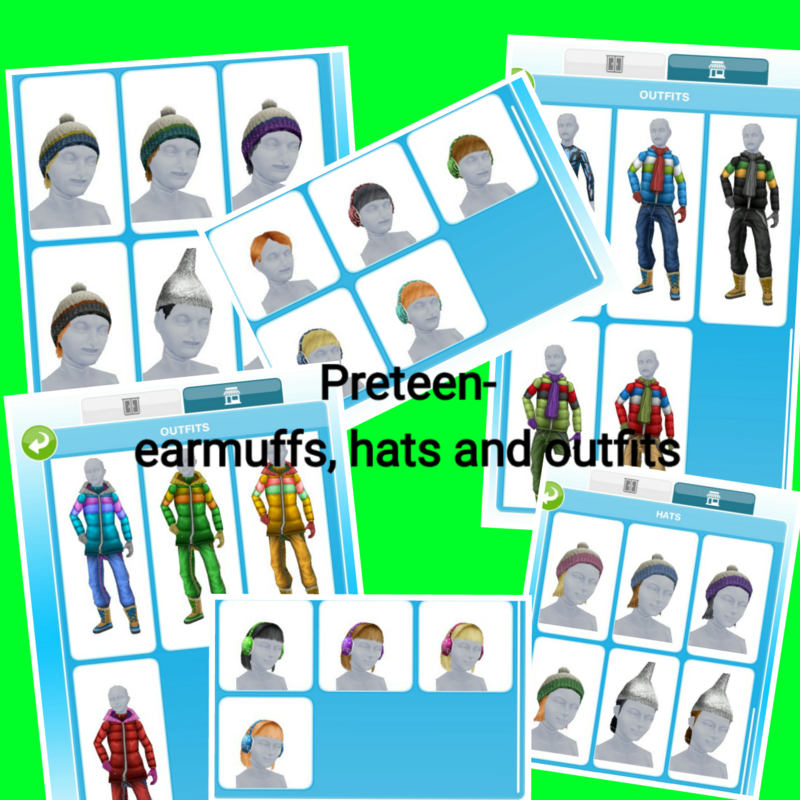 Yes I think so, the snow outfits are free and they include snowboard suits and other items like woolly hats and earmuffs! Perfect to wear at the snow park! Where can I find them? 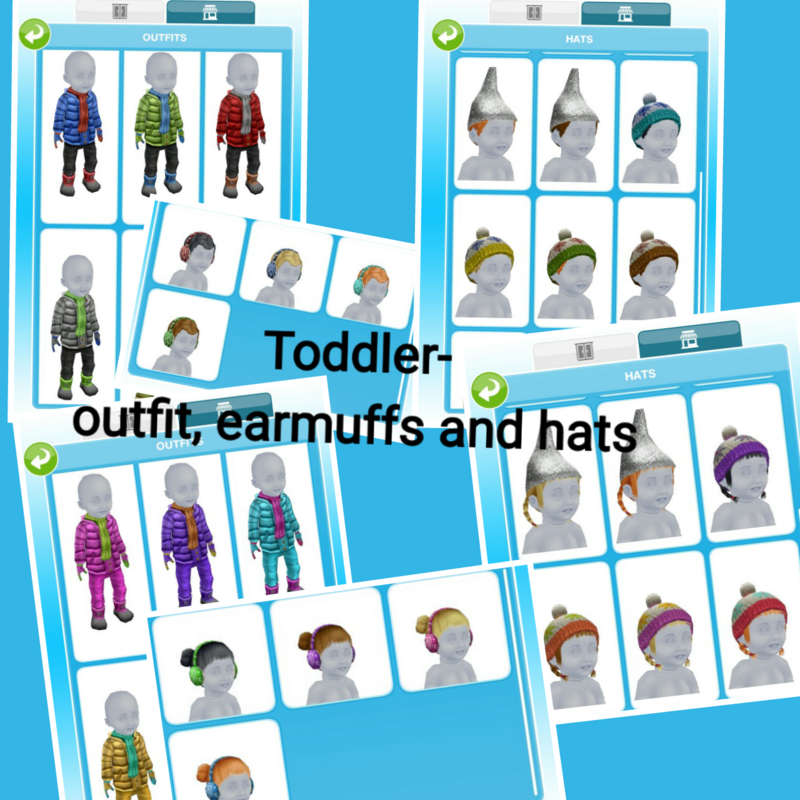 Outfits, hats and earmuffs (hair section) are in the wardrobe. The next quest Multi Story Renovations unlocks up to 5 levels for your houses! How can I make snow or make rain across the sím town?? no, just at the house with the weather machine. Very sad that after i spent 16,000 on electronics my next step was to hibernate in bed. I know that this quest was posted a bit ago but I wish I had an idea but I started the quest. I followed the walk through and had everything started early that I could. sorry but complain to EA for constantly changing the quests not to me because they change something in most quest with every update, like you I just play the game, I don’t know when they change something and I can’t reset my game every update to update every post. Is there any types of snowy wintery outfits in one of the stores at the mall? I already have world globe, do I have to buy another one? what version of this quest do you have? 7 days or 2 days? I had to hibernate in bed as well. I had the 7 days version. Ever heard of the Puppy and Pals quest? Or something like that? And yes I have and you’re right, it isn’t very easy! Has anyone had the problem with becoming Best Friends with the alien? 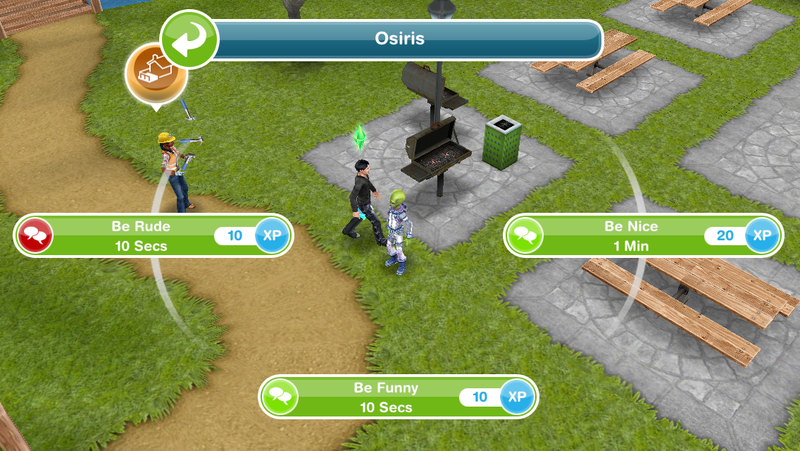 I’ve got two sims who are now, but it appears to be stuck! Once the quest has been complete. When it rains they should just use the umbrella automatically so I don’t know why this isn’t working for you, sorry! Hi, is there anyway I can still get the snow clothing if I didn’t finish in time? Have you brought 16000 worth of items from the electronics section? 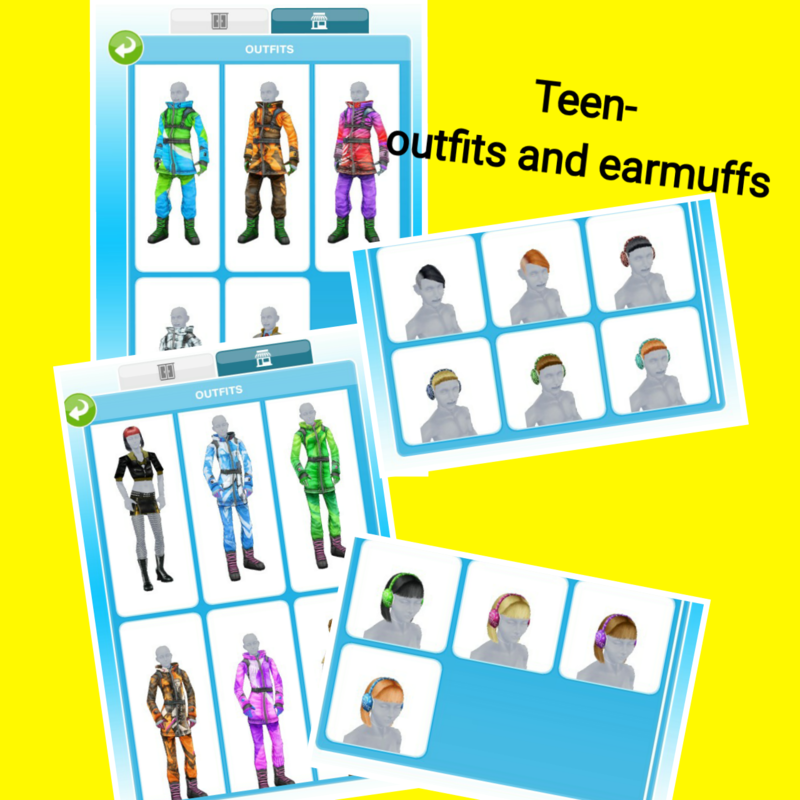 What if I didn’t completed the quest, is there a shop or anything where I can buy the snow outfits? No, you have to complete in the time limit to get the outfits. I’m glad it helps! I wish I could plan my own life like this too haha! THIS WEBSITE IS THE. BEST. EVER. Thanks and I’m glad I could help! Hi, I love you’re blog! I’m on level 27 right now, and I never got the weather machine quest. 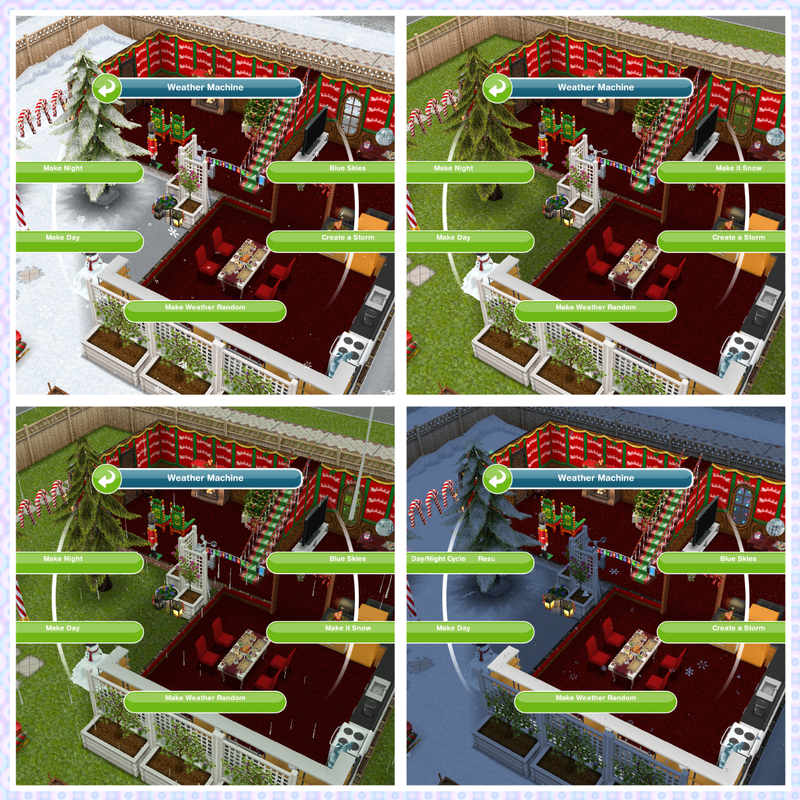 When I click the snow park, it is used to say I have to unlock it by completing the weather machine quest. Now I can unlock it, and I haven’t completed the quest. I checked the electronics section of the home store, and the weather machine wasn’t there. Did they stop doing this quest? You need to complete previous main quests before you can do this one as they have to be completed in order. These are so helpful. I could have finished this one in under an hour because you can start all the long ones early but I’m leaving the last one for a bit because I need to save up some more for the community center. Which I also know thanks to these guides. I apologize if this is a stupid question or already been answered somewhere, but how will I know when I’ve spent 16,000 on electronics when it doesn’t seem to be adding it up? I’ve just been buying a few items here and there since I didn’t finish the quest in time anyway, but I have no way of knowing how much I’ve already spent or how much more I have to buy to get to 16,000. Do you know if the game is keeping track of the total or if I have to spend a total of 16,000 all at once? Btw, thanks for all you do, you’re a tremendous help to everyone! It doesn’t tell you how much you have left, but it will complete the goal when you have spend enough. Remember you can only buy items from the electronics tab to complete this goal, other items will not count towards this. I had my toddler deep sleep in a bed early and then I left her alone. When I went back to her house when it was time to complete the deep sleep task it didn’t complete. Doe it only work if you do in an adult bed? You probably needed to use an adult to complete this task. Every time I enter the game it keeps saying cannot connect to server but I have wifi I am scared to delete it and I have signed in on Game Center do you have any suggestions? By the way love the blog! Have you tried restarting your device? If that doesn’t work you may need to contact EA to see if they can fix this issue for you, sorry about that! 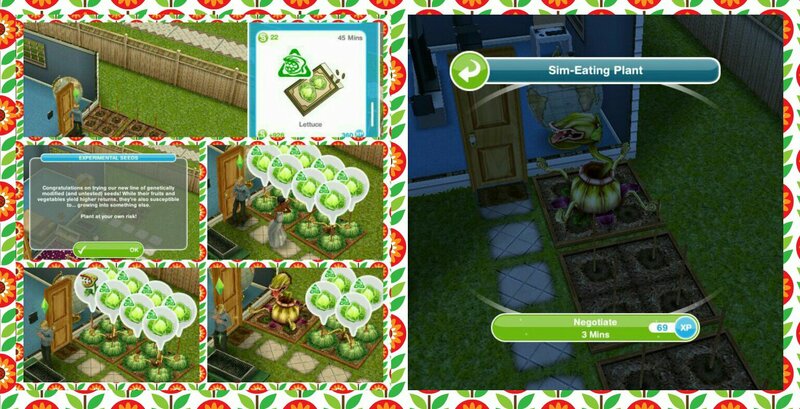 I’ve never noticed any difference in gardening when the weather machine is in use, has anyone else? Huh. Well, I guess that’s one to get a free cupcake. It was completely random by the way, and my sim was idle, meaning he wasn’t assigned to any task at the moment, and he wasn’t selected. 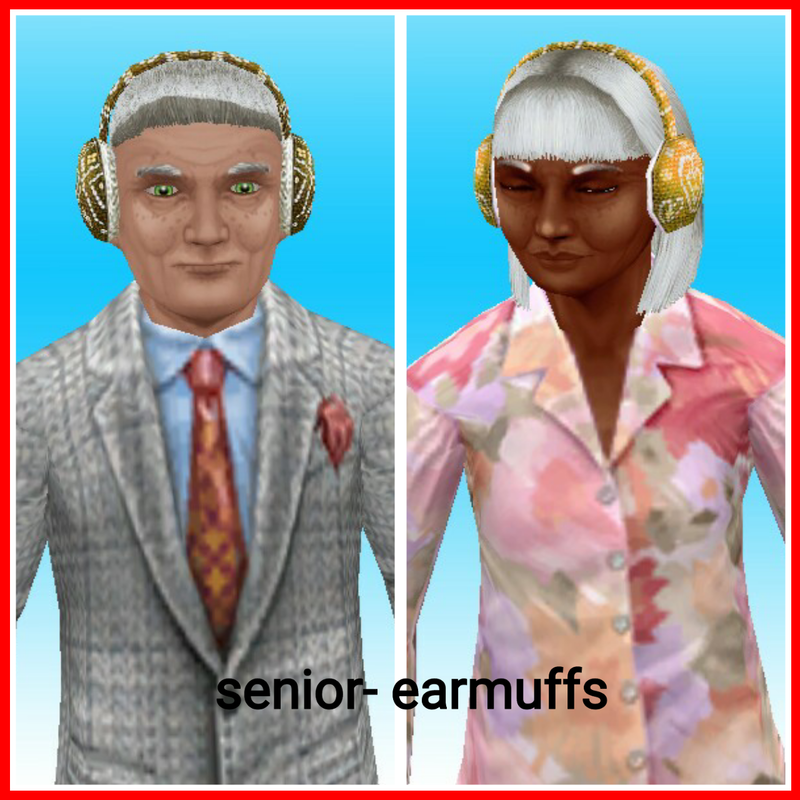 I now feel like an old-school mental hospital doctor and want to electrocute all my sims. 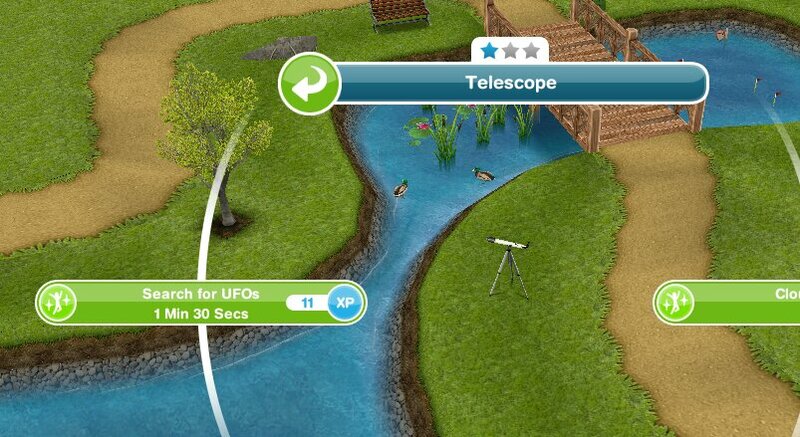 Try looking at one of your sims houses for the alien. Do you know the Alien Encounter Challenge where you get limited-edition Teleporter as a prize? I rarely see posts about this quest so I was wondering if this is something that we will get in the future. Thank you. I vaguely remember this but I can’t remember what we had to do to complete it and it hasn’t been back since so unless it does I can’t really create a post on it. Is it worth buying the weather machine? 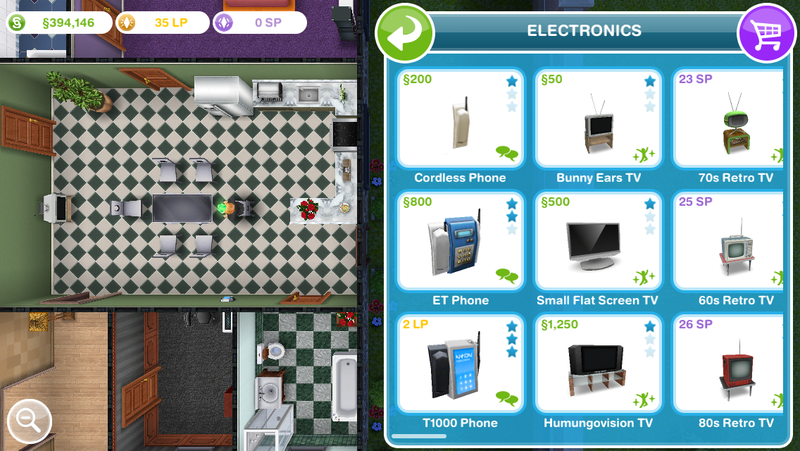 I can afford it but I’m not sure if it would be a waste of 70 thousand simoleons. You don’t really need it right now, buy the snow park first as that is required for future quests! Sometimes it says this even if you don’t have anything incompatible but it means things like inflatables in the pool will be moved to your inventory when you make it snow as the pool turns to ice. Your blog is so helpful! And I need your advise, I spent more than $16,000 on an Outdoor Cinema under Electronics in the home store but my goal isn’t completed. Does it have to be exactly $16,000 to complete the goal? Thank you! It doesn’t need to be exactly S16,000 but I would suggest you buy things like TVs, computers and phones as the outdoor cinema was only recently added to the game so it probably doesn’t recognise it as completing this goal. That is already correct in the post, scroll down to version 2 in the post to see the times you have. can you freeze a pool and if so how? 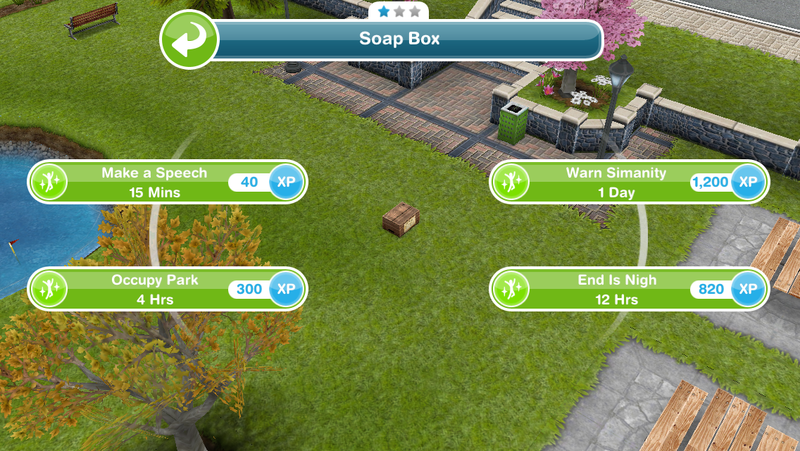 Little typo on the last quest goal:) Great work; you are highly valued in the Sim community! 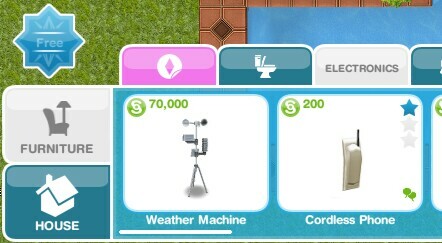 Will i get the weather machine for free or do I have to pay 70000s for it? Can I still get the weather machine if I completed this quest not in the time limit? And where is it? Yes you can, you can buy it from the electronics section of the home store.